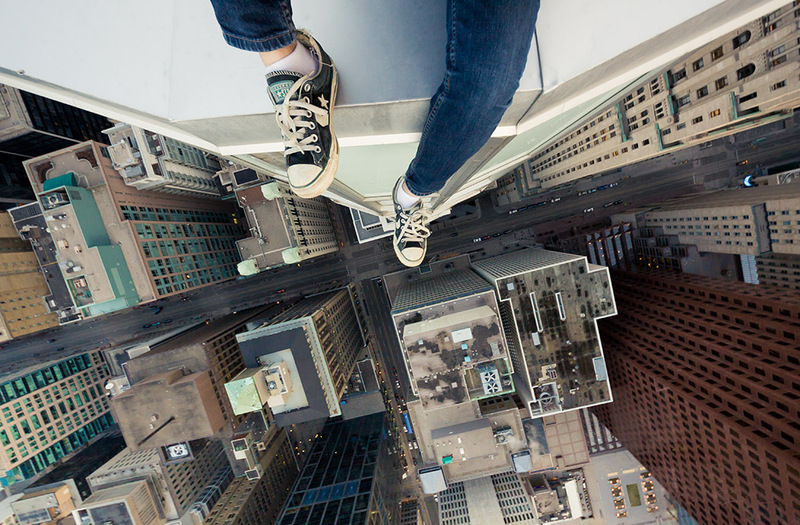 Not many of us yearn to experience the literal ‘life on the edge’. 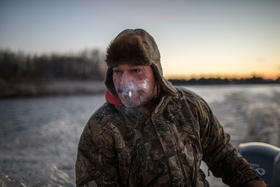 Toronto-based photographer Tom Ryaboi does. 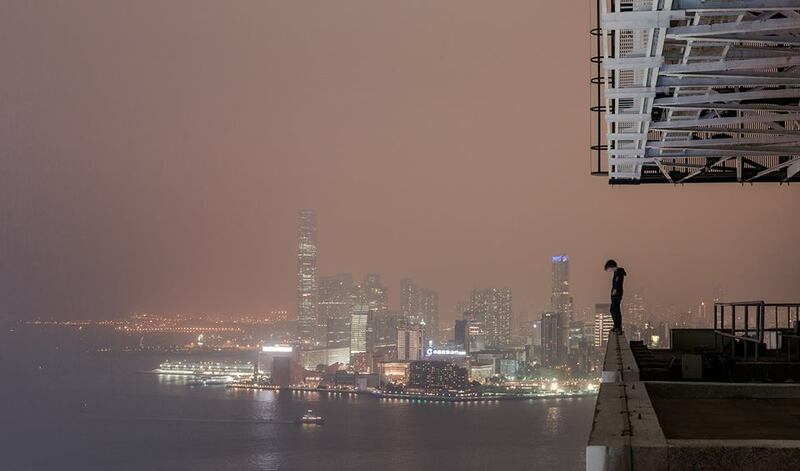 He stealthily climbs to the uppermost reach of skyscrapers to capture some pretty incredible cityscapes. 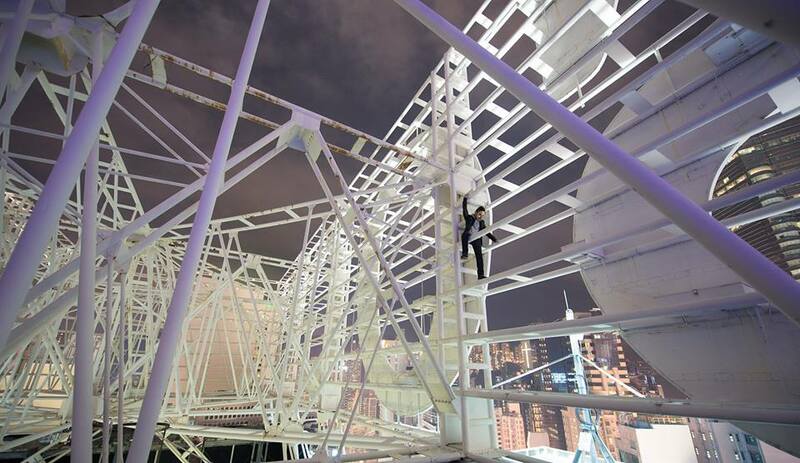 His (mostly clandestine) ‘rooftopping’ exploits have taken him across the globe. 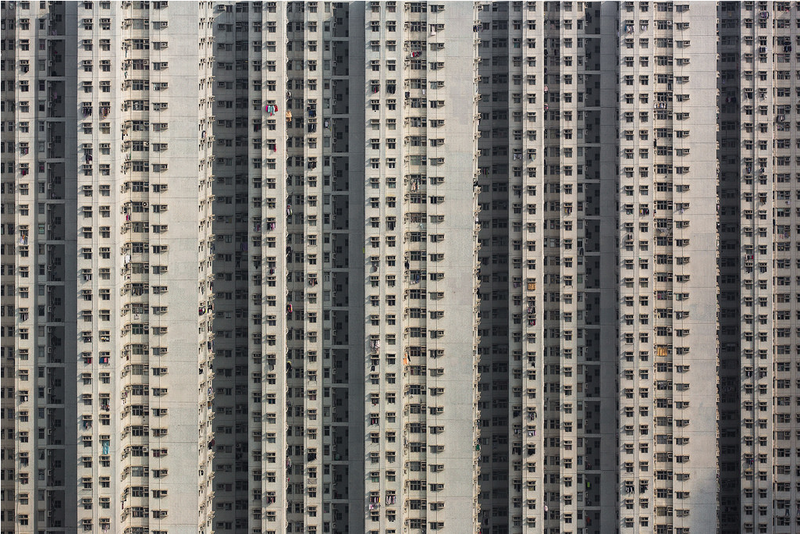 His images present an entirely new perspective on urban photography. 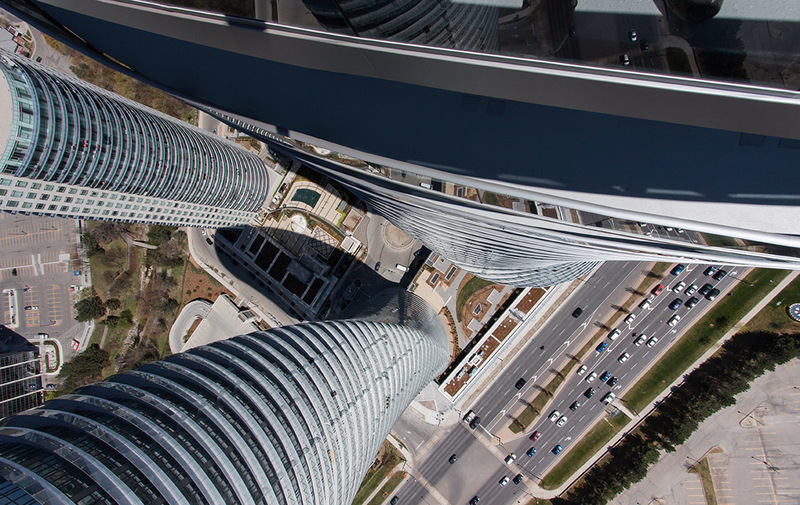 Shots from Toronto, Chicago, and Hong Kong – cities that know a thing or two about towers – are on display at the Canary District Presentation Gallery in Toronto. 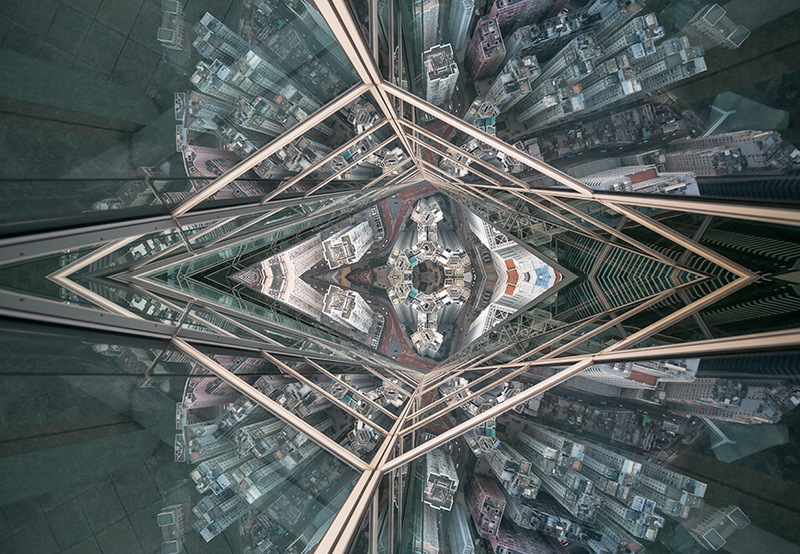 Paired with Tom’s photography is another vertigo-inducing work named “Aletide”, as part of an exclusive art exhibit called Cities of the Future. 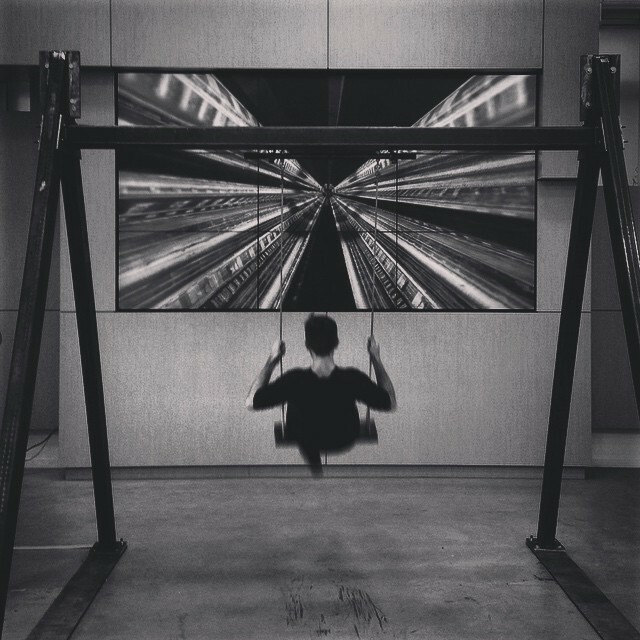 Riding Aletide, an interactive swing with vertiginous qualities. Photo by Ilaria Vergani. 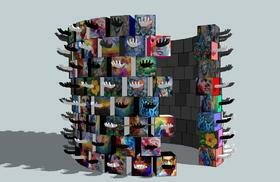 Aletide – Interactive installation from Paolo Di Giacomo on Vimeo. The photographs are on view from October 18th-30th at the Canary District Presentation Gallery at 398 Front Street East in Toronto. 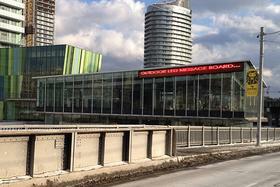 For more information see www.CanaryDistrict.com. It is art, collaboration, dialogue, and discovery. 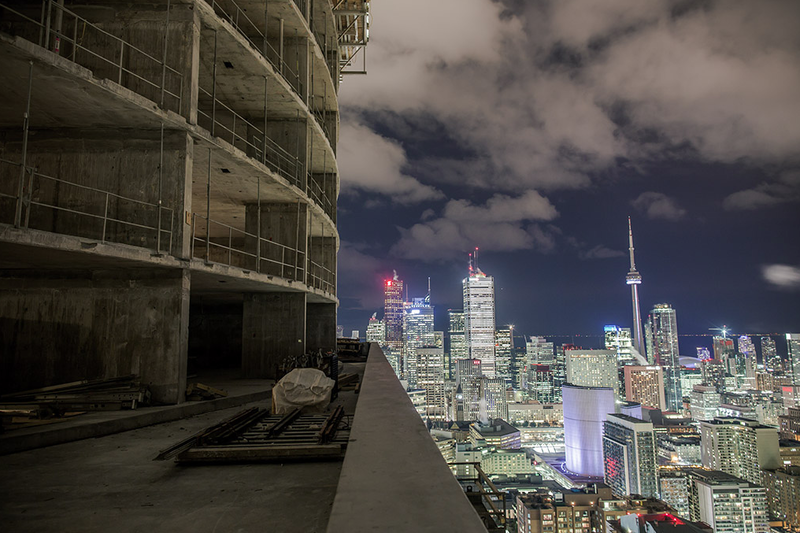 For one night only this Saturday October 4th from sunset to sunrise, Toronto will once again become the hive of activity that is Nuit Blanche. City spaces and neighbourhoods will be transformed by temporary exhibitions, installations, design, film, performance, and live talks. 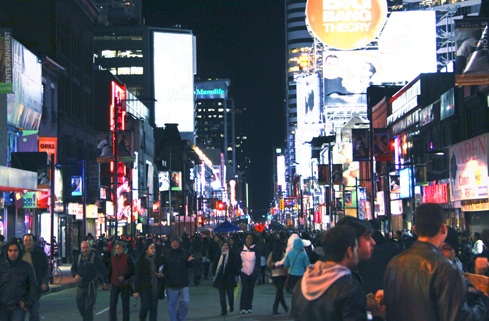 Nuit Blanche was conceived in Paris in 2002 in an attempt to make contemporary art more accessible and engage the audience to examine its impact on public space. Toronto was the first North American city to fully replicate the Paris model. The international success of the festival has expanded its reach to sleepless cities around the globe – from Riga to Melbourne, Kyoto to La Paz. Internationally renowned for her interactive interventions in prestigious British and American museums, Clare Twomey creates a spectacular commissioned performative installation about making and collecting, to honour the Gardiner Museum’s 30th anniversary. 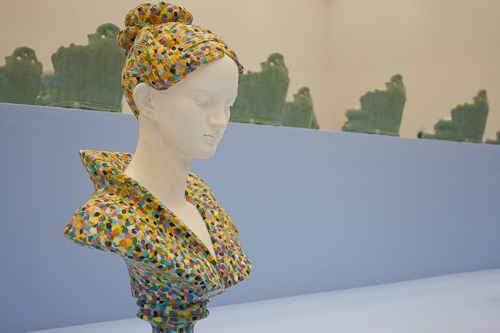 Piece by Piece features an army of over 2,000 ceramic figurines – inspired by the Gardiner’s rare Commedia dell’Arte Harlequin collection – that demonstrate the conflicting emotions of everyday life. 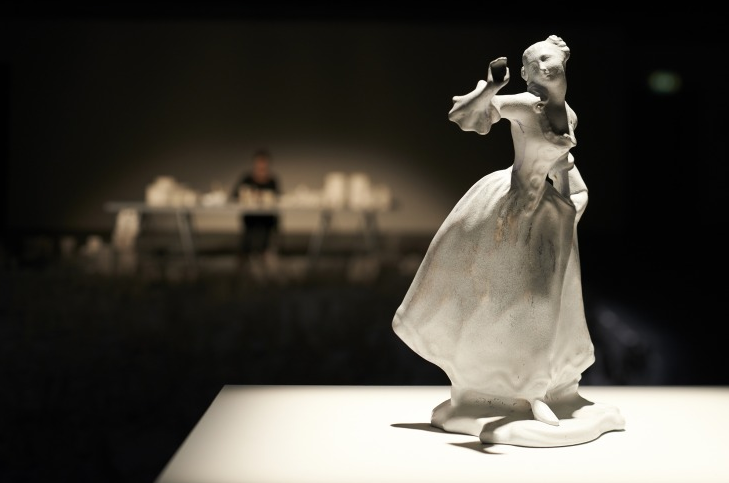 During the exhibition, her Canadian premiere, an on-site artist/maker will create more statuettes to add to the ever-growing ghostly white world. Renova’s coloured and scented toilet paper line is the raw material in a temple-like environment reminiscent of a garden of earthly delights. 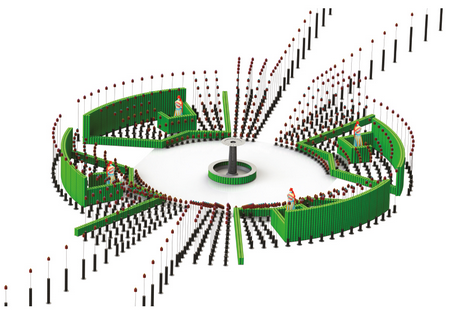 Using the bathroom tissue over substructures, the installation features a labyrinth, hedges, poppies, garden ornaments, and a 3D-printed fountain. 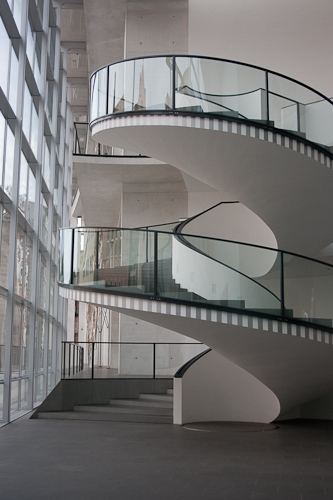 Creator Luigi Ferrara, Dean of the Centre for Arts and Design at George Brown College, and his team at IwB invite the public to interact with the paradise surroundings. 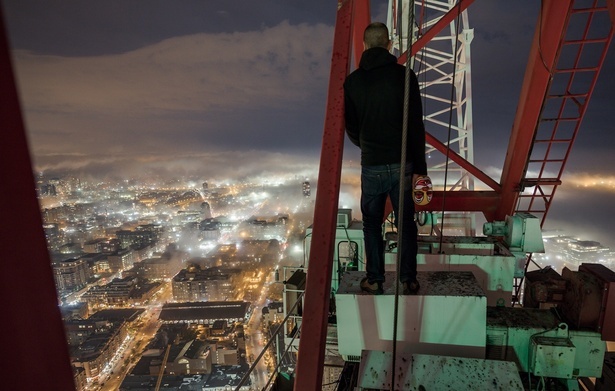 Curated by Exhibit Change, LandMark is an interactive photographic installation focused on the dynamic nature of community engagement and city building. Large-scale photo essays showcased throughout St. James Park share stories of some of the city’s unsung heroes and reveal the many layers of Old Town Toronto’s history. The initiative seeks to strengthen community partnerships in the St. Lawrence Market neighbourhood. 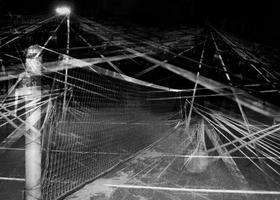 Barcelona-based Antoni Muntadas is considered one of the pioneers of media art and conceptual art in Spain. This installation examines the duality of media as a source of information and an instrument of manipulation. The piece displays a wide range of headlines in order to incite the viewer into rethinking the meaning of the messages, creating a defiance in the uniformly constructed “media flow”. A stream of information engineered by advertisers is to be consumed as a whole. In the sound and light installation Melting Point, Fort York’s two south-facing cannons are stocked with “an artillery of glowing good feelings”, pouring forth “sparkling tributaries of light”. The work reflects on the drivers, both cultural and natural, that have shaped the historic site – a preserved battlefield surrounded on all sides by condominium towers, raised freeways and train lines. Accompanied by the immersive sounds of rolling waves and trilling harps, LeuWebb‘s project lays a defense against the swirling market forces beyond, countering hard with soft and dark with light. 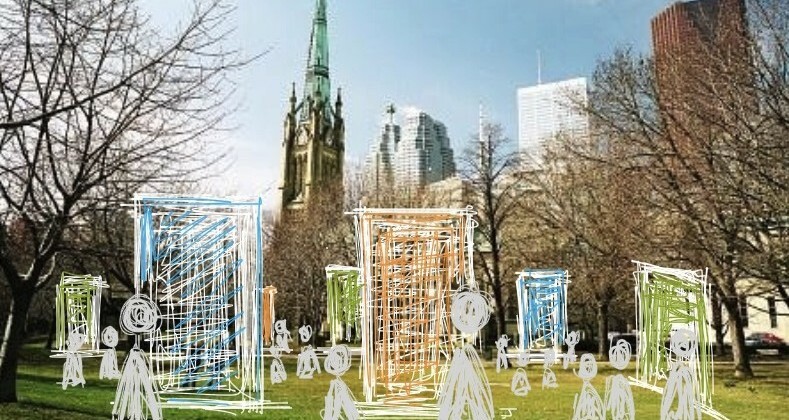 Toronto Hydro searched for artists to submit proposals for a contest to repurpose an old fridge, in support of their Fridge & Freezer Pickup program. 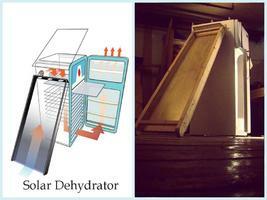 Mora’s winning design, inspired by the appliance’s already existing insulation and components, transforms the refrigerator into a solar dehydrator. Project Reach is a collaborative installation authored by students from 201 TCDSB schools across the GTA celebrating the value of charity and how it transforms lives. Visitors are greeted with hundreds of human hands – symbol of our ability to reach out and change the world. They beckon us to come closer to discover what these students want to communicate through personal messages, imagery, and found objects. In Implied Geometries, Valerie Arthur seeks to uncover the otherwise invisible characteristics of a place. By simultaneously recreating all of the flight paths in a series of tennis games it will reveal the space within the court as much more than an empty void. The court will become a web of movement and speed, exposing the underlying forces that truly define it and inviting the audience to experience moving through the courts in a new way. This exhibition presents a photo essay documenting the time artist Johan Hallberg-Campbell spent alongside the Canadian Red Cross, photographing volunteers working in the communities of Moose Cree and Attawapiskat. These images include engaging large portraits, vast landscapes and touching personal moments captured by one of Canada’s leading photographers. 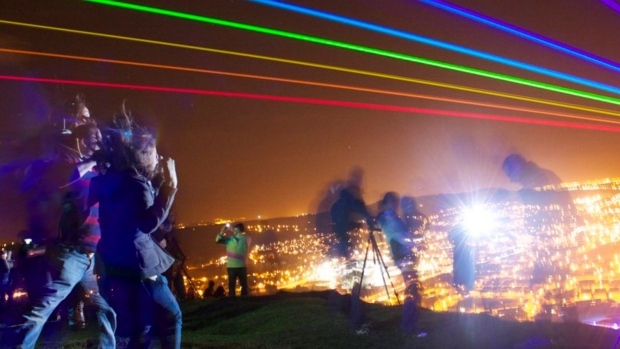 The high specification laser light projection Global Rainbow will blaze through Toronto’s night sky. 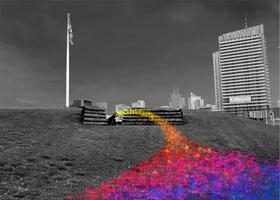 From Chinatown to the CN Tower, it will cast beams of colours up to 60 kilometres. Created by New York- and Berlin-based artist Yvette Mattern, it has been displayed in cities around the world since 2009. It literally “paints the sky” with seven simple but distinctly powerful lines of colour representing the rainbow spectrum to create an artwork that is performative, sculptural, painterly, and minimalist in form. As a powerful and luminescent symbol of peace and hope, it embraces geographical and social diversity. Ure-tech surfaces colour much of June Callwood Park. Photo by gh3. Amongst Nuit Blanche’s one-night-only discoveries is the opening of a new permanent space in the city, the June Callwood Park. 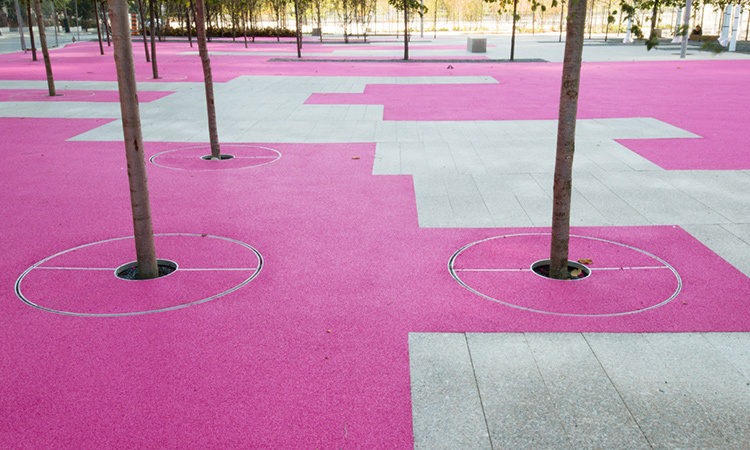 The gH3-designed park slots trees in amongst pavers, garden strips, and high-tech cushioned pink surfaces all laid out in the waveform of journalist and activist June Callwood speaking the words “I believe in kindness.” Montreal artists Steve Bates and Douglas Moffat created the accompanying sonic public art installation, OKTA, transmitted by speakers arrayed throughout the grove. With Christmas coming up, one of Europe’s most interesting places to be at is Nuremberg’s Christkindlesmarkt, where booths are stacked with easy-to-indulge-in glühwein and gingerbread, wooden toys, and a festive atmosphere pervades. Unfortunately I can’t speak to that more specifically – I was in the Franconian city during a heat wave this past August. 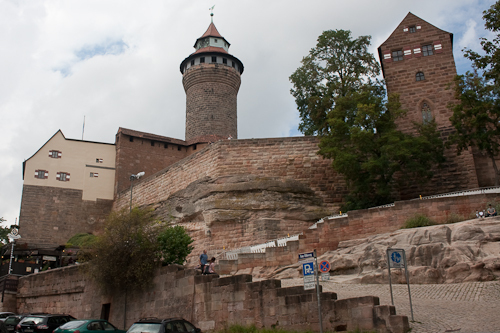 Medieval Nuremberg is bounded by a wall marked with 80 towers. 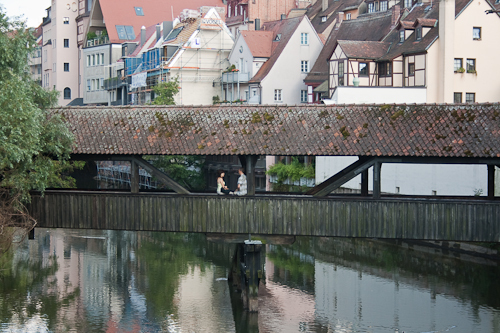 A walking tour through it and across the Pegnitz River reveals its charming spots. Almost 90% of it was destroyed in WWII and, although most of the historical buildings have since been reconstructed, it still feels ancient. 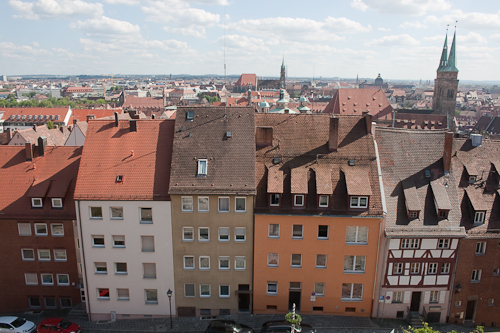 The presence of timber-framed buildings, the city’s prescribed angle of roofs and dormers, and the lack of high-rises no doubt play a role in that. 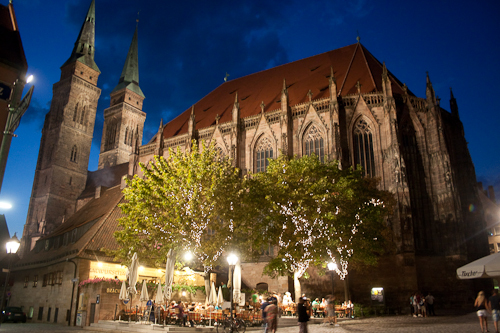 Gothic churches and patricians’ houses round out the medieval motif, not to mention the imperial Kaiserburg castle towering above from its sandstone ridge on the northern edge of the old town. 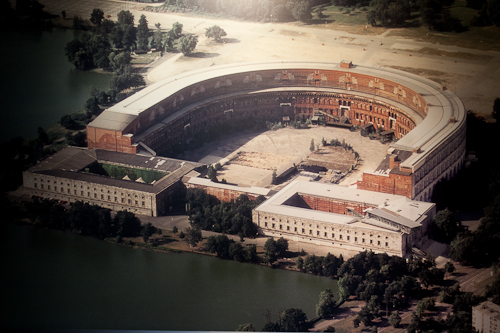 Nuremberg’s ugly past is in full view. 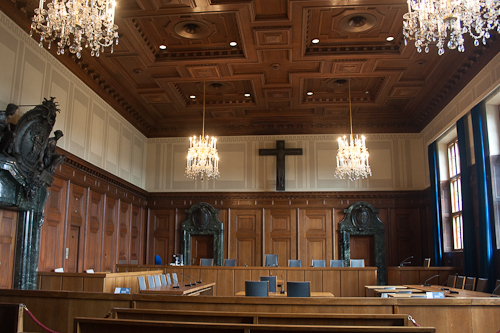 Though it remains an active court, on certain days you can sit in the Courtroom 600 at the Palace of Justice, the original venue where leaders of the tyrannical Nazi regime had to answer to their crimes before an international tribunal. 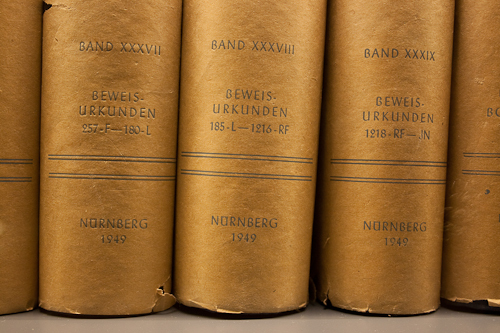 There is a municipal information centre upstairs entitled Memorium Nürnberger Prozesse where extensive documentation through photos, films, and soundtracks gives visitors an in-depth look at the events leading up to the trials, of their course and the aftermath. If you’re still curious to see more, the ‘Fascination and Terror’ permanent exhibition at the Documentation Centre Nazi Party Rally Grounds examines the “causes, context and consequences of the National Socialist reign of terror.” Architect Günther Domenig designed a diagonal glass and steel passageway that leads into the museum, piercing through the north wing of the immense Congress Hall’s unfinished remains. 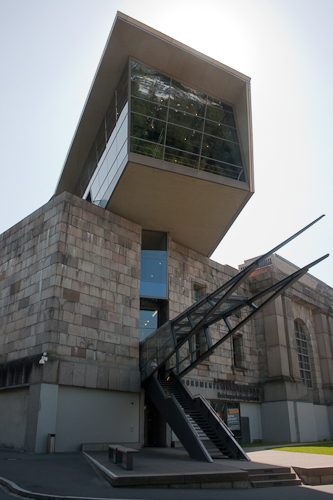 It is a cold and effective architectural counterpoint. 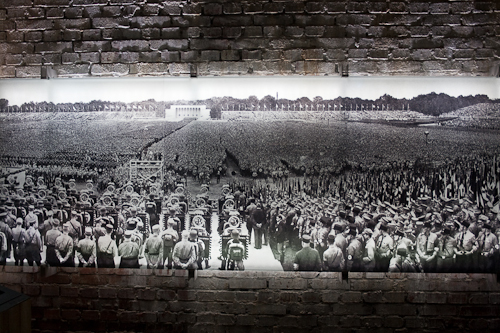 Seeing the museum’s documentary evidence of the sheer magnitude of crowds that once packed the former grounds to the brim – a shivering thought – and then later standing at the long-empty Zeppelin Field feels positively surreal. 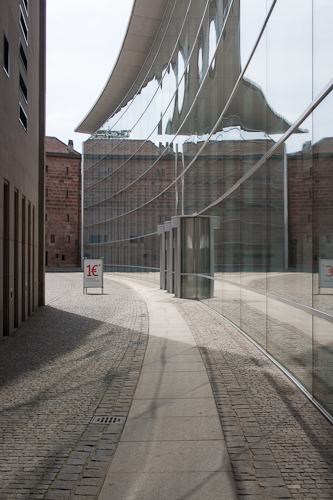 On an entirely different level, the Neues Museum (State Museum for Art and Design) mounted an exhibition of designer Alessandro Mendini; some works by Gerhard Richter; and, Martin Wöhrl’s “Maß und Werk“, a two-storey high metal tracery mounted directly behind the glass façade that faces onto Klarissenplatz. 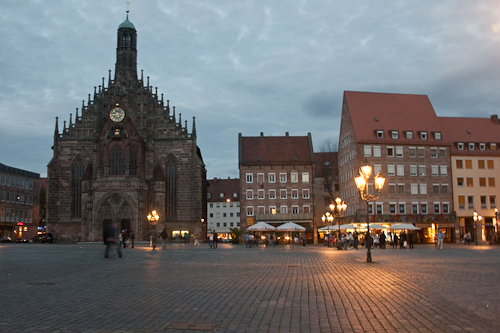 One tip: if you ever visit Nuremberg, don’t make the mistake of confusing Franconians and Bavarians! I learned that the hard way – youch! An exhibition of the works of Italian designer, architect, and cultural theorist Alessandro Mendini at the Neues Museum in Nuremberg leads the visitor into a visual, playful, and wondrous world. 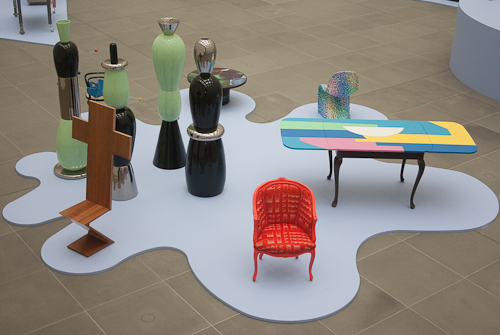 A collaboration with the International Design Museum Munich, the Wunderkammer (Cabinet of Curiosity) Design retrospective presents a host of examples from Mendini’s oeuvre of the last 40 years – brightly coloured objects, furniture and paintings – in homage to the artist on his 80th birthday. 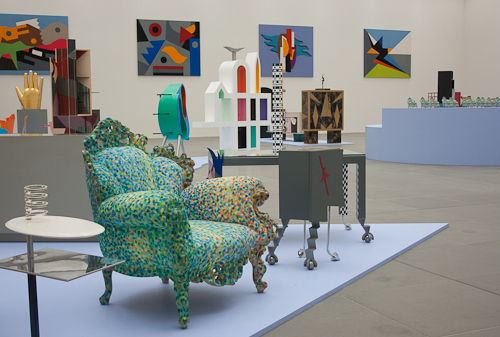 Mendini himself designed the exhibition landscape. 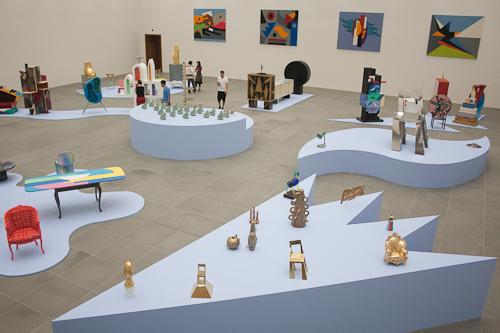 In the large central gallery space, nine light blue islands, their shapes derived from elements in his design idiom, serve as platforms and pedestals for over 80 polished pieces. 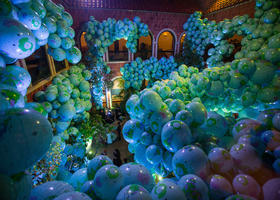 Through their curious play of scale, decorated opulence and exotic nature, each instils a sense of fantasy. 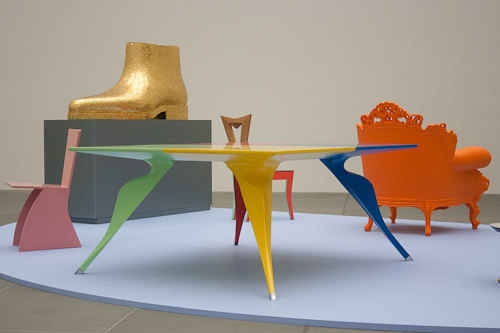 Noted art on display includes: giant Guanto (Glove) and Scarpa (Shoe) sculptures covered in hand-cut, 24-carat gold mosaic tiles; Mobile infinito table; San Francisco partition wall inspired by the utopian ideals of California, a state that Mendini describes as “a magical destination, a mirage, a warm fertile and colourful place;” and, a series of miniature hand-painted ceramic ‘Proust’ armchairs. In the museum’s central atrium stands Il Cavaliere di Dürer (The Knight of Dürer), a recent sculpture of blue and white gold mosaics depicting a knight on horseback, a nod to Nuremberg artist and theorist Albrecht Dürer. 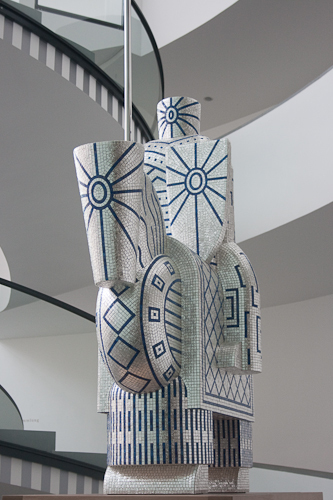 Alessandro Mendini played a significant part in the development of Italian design in the second half of the 20th century, challenging existing notions and questioning the conventional. 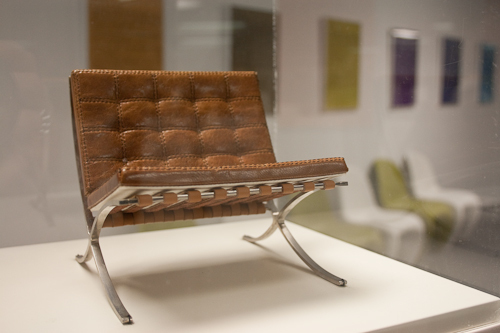 Widely regarded as an agent provocateur of industrial design, he stimulated many new trends. A protagonist of the Radical Design movement, Mendini founded Studio Alchimia in 1978 along with Ettore Sottsass and outlined its theoretical foundations in Alchimia’s Manifeto in 1985, stating: “There is no originality anymore and every new design object only combines varying décors, patterns and surfaces. Design is ‘re-design’. Designing is decorating.” By combining and mixing various styles and forms of expression from different epochs, Mendini transforms banal, everyday objects into radiantly colourful ‘re-designs’. 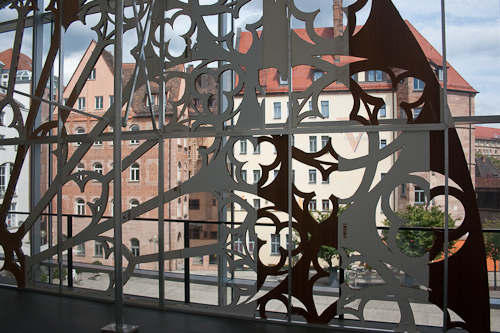 The communicative power of ornamentation is central to his work and he applies it to his art in order to create a deeper relationship between human beings and the objects around them. Mendini is an image consultant and designer for Alessi, Cartier, Swatch, Swarovski, and Bisazza. He held the post of editor-in-chief of internationally influential Domus and Casabella magazines and, as architect, has several buildings to his name: the Groninger Museum in The Netherlands, the Casino in Arosa and the Forum in Omegna. He currently runs Atelier Mendini, a multi-disciplinary practice in Milan, with his brother Francesco. 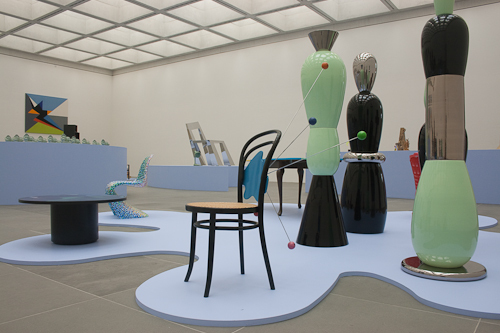 Alessandro Mendini’s Wunderkammer Design exhibit is on view at The Neues Museum at Klarissenplatz in Nuremberg, Germany until October 23. 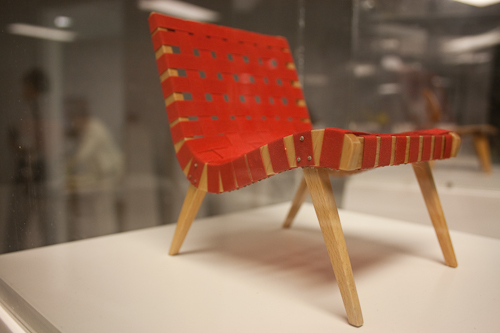 A tour of miniature chairs from the Vitra Design Museum has landed in Toronto. 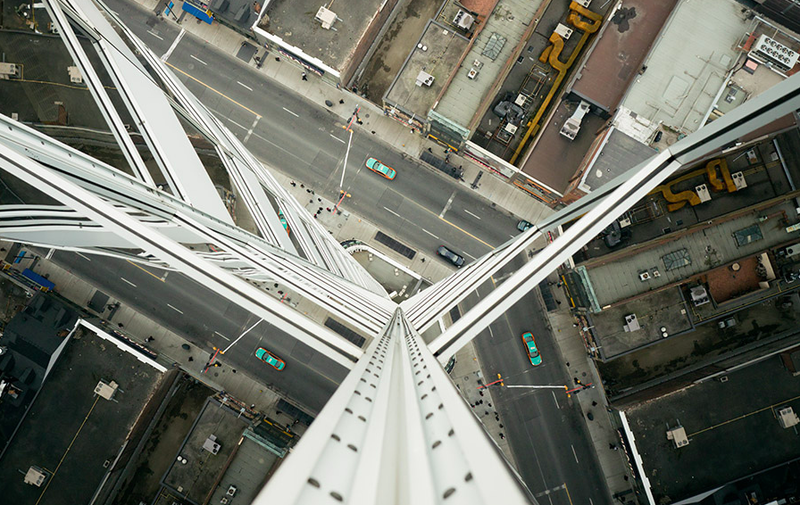 Situated on the 25th floor of a Toronto highrise, the exhibition space affords a sweeping view of the city skyline as well as an equally far-reaching view through design history. 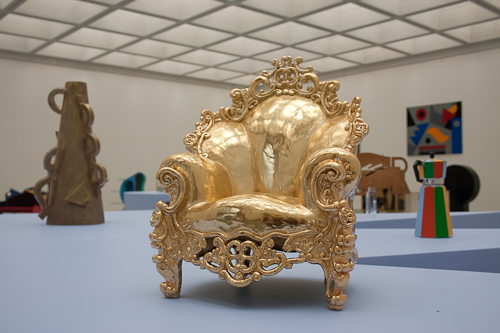 Hosted by the Goethe Institute and the German Consulate General in Toronto, “Dimensions of Design” features mini reproductions of 100 of the most classical seats from the late 1800s to about 1990. 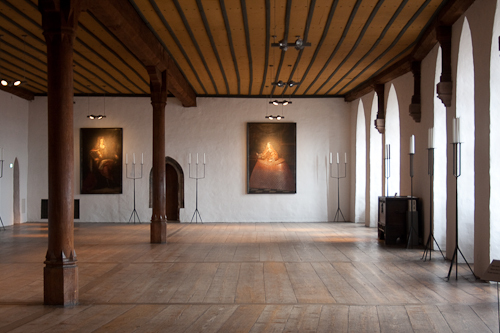 Each is individually presented on identical tapered white pedestals capped by glass covers that wind throughout the room in a chronological order. Accompanying the chairs on display are 40 different posters presenting the timeline of industrial chair production. 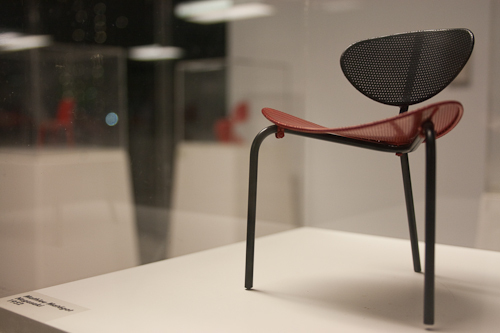 The Vitra Design Museum in Weil am Rhein, which has one of the most important collections of modern furniture design, has been manufacturing 1:6 scale versions of these iconic pieces since 1992. Each carefully crafted reproduction is true to the original, replicating it in workmanship, detail and material; the miniatures have even become sought-after collectors’ articles in their own right. Beginning with easily mass-produced curved wooden furniture like Michael Thonet’s bentwood bistro chair No. 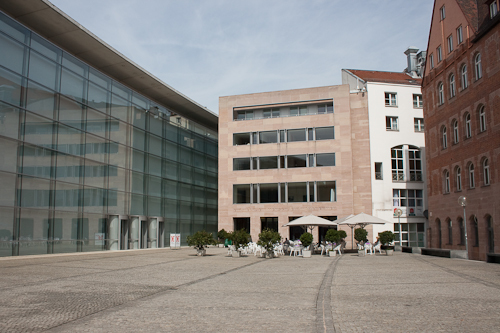 14, the retrospective includes work by Gerrit Rietveld, Alvar Aalto, Marcel Breuer, and Jean Prouvé. All the usual suspects are here, like Hans J. Wegner’ 3-benet Skalstol and Verner Panton’s eponymous chair; as well as rarer models, like Joe Colombo’s stackable Universale and Gaetano Pesce’s Pop Art inspired Donna. 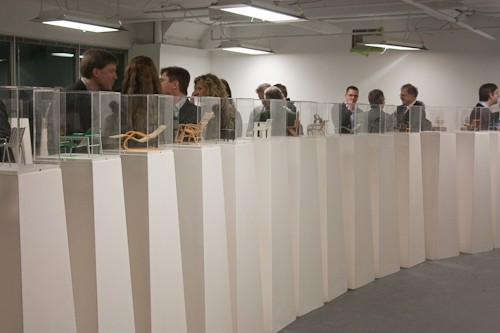 The exhibition is on display at the German Consulate General in Toronto, 2 Bloor Street East until March 9.